Greetings, Groove-ophiles! Remember those rare days when you'd be so bored you'd dig for something new to read...even if it was through your mom's stack of romance mags? (Please don't let me be the only one who ever got that desperate!) Dull and yucky (to a kid) as they were, sometimes something cool would turn up--like a story from a fave writer and/or artist. 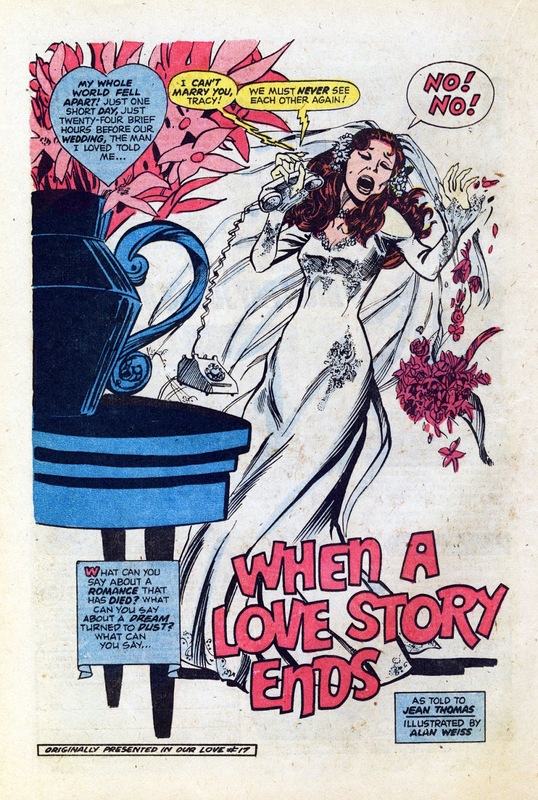 Our Love Story #29 (May 1974, reprinting stories from ish #17, March 1972) reprinted one such lucky find, "When a Love Story Ends" written by Jean (Roy's former wife) Thomas and illustrated Alan (Warlock, Shazam!) Weiss! Can you dig it? No real surprises on the story front: it's pretty typical fare - I think - for the romance genre. 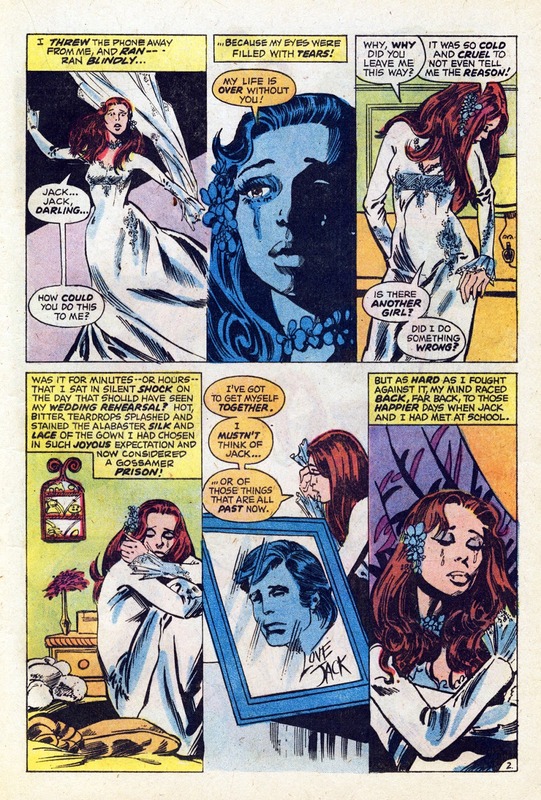 But the art by Weiss is quite lovely - I don't just mean the obvious cheesecake panels. Alan Weiss was and is a superb talent. Although his output has been sparse over the years, each appearance has been pure gold: Super-Team Family # 11, Captain America # 164, Sub-Mariner # 54. If you want to plant your peepers on some new Weiss art, get your hands on a copy of The Creeps #3! it's available on newsstands and via The Creeps website! I checked it out. Thanks for the heads up! Dude. Awesome post. I suppose when we I ran out of standard super-hero stuff I read Sad Sack and Hot Stuff. ALSO - and I don't see any references to this on the right hand side of your blog, is we would read "Treasure Chest." Often had compelling adventure stories, decent (sometimes excellent) art; still have a drawer full and when I get home I'm going to check them out again. ANYHOW... how about posting some Treasure Chests? 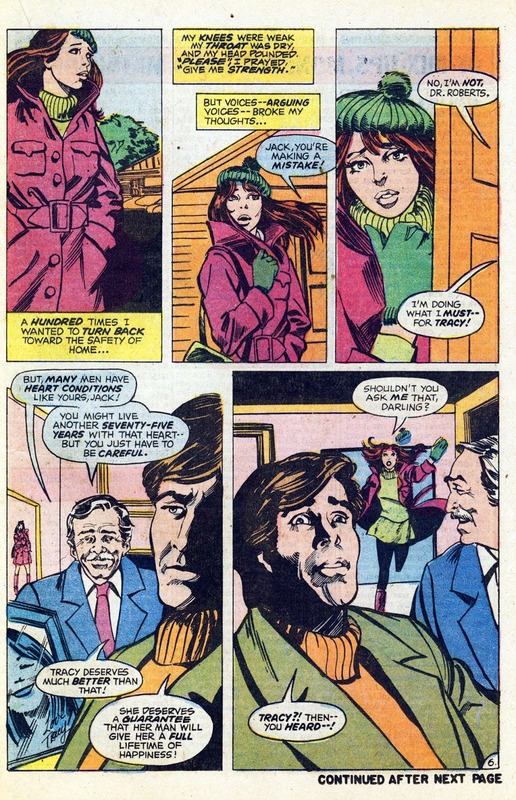 I would gladly send you my other No Prize, once I find the first No-Prize I promised for the Green Cpt Marvel post!